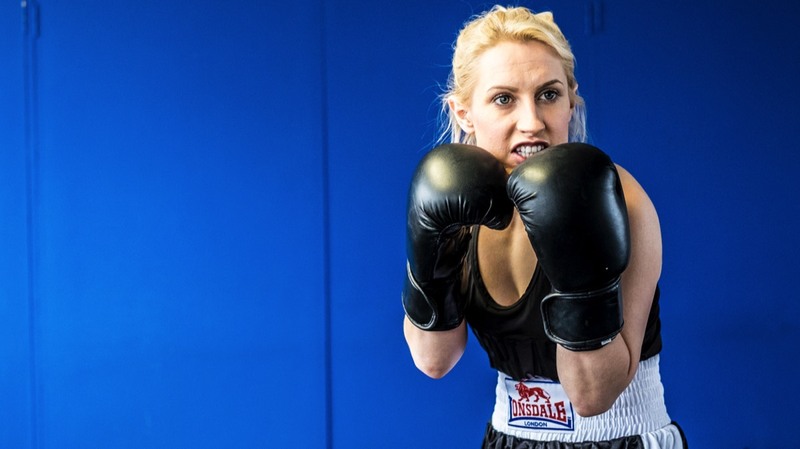 Delicate Flowers written and Directed by Mark Rees of Single Story Theatre Company tells the story of Barbara Buttrick, a Hull woman who has rapidly risen to iconic status, through the telling and re-telling of her achievements in women's boxing. Born in an era when women were expected to play the good housewife, have tea on the table, look pretty for their man, Barbara proved with her determination and fighting spirit, that women should be allowed to box, finally winning the Women's Bantamweight Championship. Alongside the performances for the schools, the W.I., in shopping centres and community centres, Single Story brought their play to Butterflies. Firstly a show for the Monday Group in East Hull, then to Cottingham and the Methodist Church on Hallgate, where Friday's group were busy celebrating the seventh anniversary of Butterflies Memory Loss Group. The play began with the recorded voice of Barbara Buttrick played into the church hall. It is clear that the Butterflies group are engaging with the story and quite taken by the actress Kat Martin performing in front of them, just feet away. 'Not one person got up to leave,' said the staff later. There are murmurs of recognition and well there might be, there are a number of folk in the audience who knew Barbara, the girl from Hull, back then when she was starting out. The good housewife guide scene gets a smile and a giggle from the women in the audience, more responses are plainly visible from the mention of Hull Fair and being invited into the barker's ring. There is a bit of a q and a after the show and from the tenure of the questions it becomes obvious that some in the audience hadn't understood that Karen was a character. The layering of narratives isn't the easiest to follow particularly if you are not used to seeing theatre: working out when Karen is actually telling Barbara's story and not that of her character proved a little tricky. Despite this the response and sustained applause proved that the group really did enjoy watching Delicate Flowers. There were a number of comments from the group afterwards that we were able to pick up on and discuss.